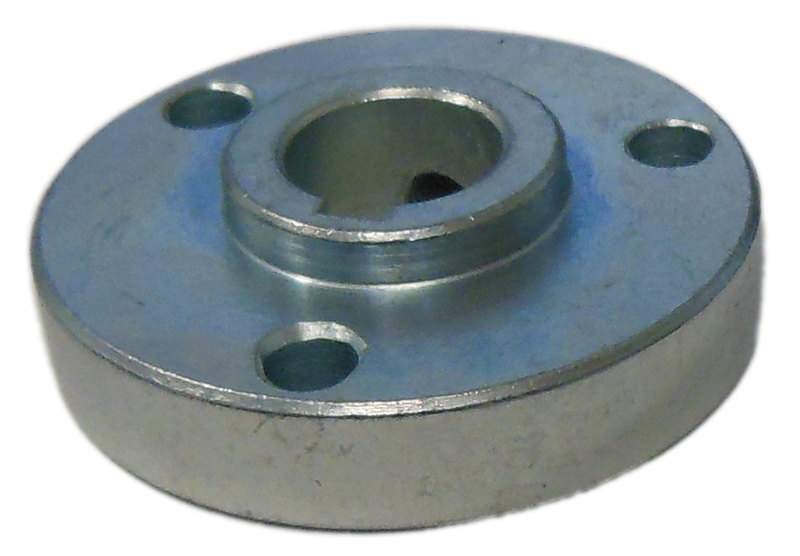 This is a plated steel hub with 1" OD shoulder and set screw hole instead of keyway. Q: #35 Chain drive Sprockets 24 tooth that will fit this hub? and the I.D. of the sprocket? A: This sprocket, Azusa Aluminum Sprocket #35 Chain - 1-11/16" Bolt Circle is available in a 24T and will work with this hub.